Maryland car accidents, and other types of accidents, can induce numerous types of injuries. A common type of brain injury that results from auto accidents, falls and excessive force to the head is a concussion injury. If you have suffered a concussion injury due to the negligence of another in Baltimore County, Maryland please do not hesitate to contact a our team of Maryland concussion injury lawyers. Our Towson auto accident lawyers serve those injured throughout all of Maryland including Annapolis, Bethesda, Towson, Elkton, Bel Air, Essex, Ellicott City, Ocean City, Salisbury, Edgewood, Aberdeen, Denton, Easton, Upper Marlboro, College Park, Frederick and Silver Spring, MD. The most common and least serious type of traumatic brain injury is called a concussion. The word concussion is derived from the Latin word concutere, which translated means “to shake violently.” As seen in countless Saturday morning cartoons, a concussion is most often caused by a sudden direct blow or bump to the head. The human brain is comprised of soft tissue. It’s cushioned by spinal fluid and encased in the protective shell of the skull. When you sustain a concussion, the impact can jolt your brain. Sometimes, it literally causes it to move around in your head. Traumatic brain injuries can cause bruising, damage to the blood vessels, and injury to the nerves. The result? Your brain doesn’t function normally. If you’ve suffered a concussion, vision may be disturbed, you may lose equilibrium, or you may fall unconscious. In short, the brain is confused. That’s why Bugs Bunny often saw stars. If a child has a concussion, an adult should monitor him or her for the first 24 hours. It’s important to watch for behavioral changes in terms of emotional changes, physical and motor skill changes as well as cognitive changes. As many toddlers and children under the age of 7 may not be able to fully communicate what they are feeling, it is very important to monitor them closely. Under no circumstances should you administer medications, including aspirin, which may cause bleeding, to a child without consulting a doctor. Concussions can be difficult to diagnose for several reasons. Accident victims and health care providers can see a visible cut or bruise on the head following a Maryland car accident. However, you cannot visibly see a concussion injury. In many concussion injury cases signs may not present for days or weeks after the injury. Some symptoms last for just seconds; others may linger for extended period of time. A hallmark sign of a concussion is loss of consciousness immediately following a blow to the head. Although suffering a concussion does not always result in a loss of consciousness. Shortly after the injury other symptoms may begin appear such as confusion, headache, nausea, vomiting as well as blurred vision. If the force exerted to the head is severe enough short term memory, particularly memory pertaining to the accident itself, will be compromised. You may also exhibit a condition known as perseverating which is repeating the same thing time and time again despite being given the answer. A common example of this may be asking ‘Was I in an accident?’ numerous times and being told yes each time. Seeking appropriate medical care should be the first thing you do following an accident that inflicts a concussion, or any other type of injury. 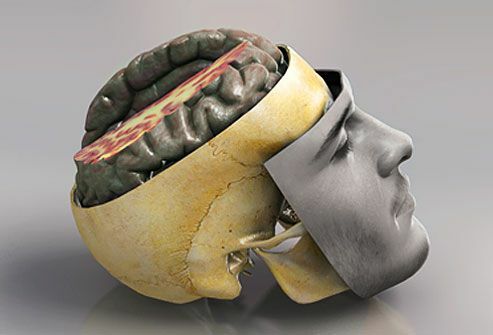 After the accident you may suffer a diminished quality of your life due to your head injury. You may not be able to go back to work for a period of time, there may be other injuries that need to heal and you may also face endless doctor’s visits. All of this can drain you emotionally, physically and financially. You should consult with an personal injury attorney serving Baltimore, Annapolis and Bel Air, Maryland to discuss your case. If your injuries were due to another’s negligence you may be entitled to damages, benefits and compensation for diminished quality of life, lost wages, future lost earnings, medical benefits as well as vehicle repair. This is where Towson, Maryland Personal Injury Lawyer John Grason Turnbull can be of great benefit to you and your family. Mr. Turnbull is a skilled Maryland Trial Lawyer with many years experience serving the injured in Baltimore. He will identify all liable parties and make them accountable for your injures from a legal standpoint. Contact Baltimore County Personal Injury Attorney John Grason Turnbull III to discuss filing your Maryland Personal Injury Claim. His Towson, Maryland accident law office can be reached at 410-321-8860. Mr. Turnbull is cognizant of how difficult it can be enduring the physical and emotional pain of an injury. As your attorney. he will do his best to get you the maximum benefits and financial compensation you deserve for your injuries, medical expenses, lost wages and pain and suffering (if applicable). Mr. Turnbull serves car accident victims, injury victims and workers’ compensation victims in the Aberdeen, Annapolis, Baltimore City, Baltimore County, Bel Air, Ellicott City, Essex, Glen Burnie, Havre De Grace and Towson, Maryland areas.